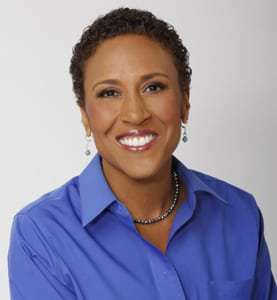 Robin Roberts is an American television broadcaster and currently co-anchor of ABC’s Good Morning America. Roberts began her career in 1983 as a sports anchor and reporter for WDAM-TV in Hattiesburg, Mississippi. In 1984, she moved to WLOX-TV in Biloxi, Mississippi. In 1986, she was sports anchor and reporter for WSMV-TV in Nashville, Tennessee. 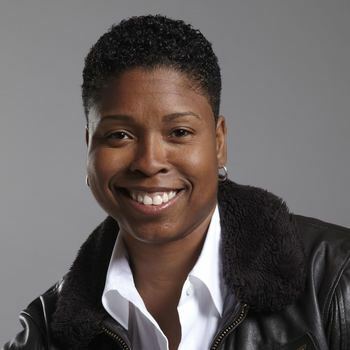 She was also a sports anchor and reporter at WAGA-TV in Atlanta, Georgia from 1988 to 1990 and a radio host for radio station V-103 while in Atlanta. She joined ESPN as a sportscaster in February 1990, where she stayed until 2005. On SportsCenter, she was known for the catchphrase, “Go on with your bad self!” Roberts began to work for ABC News, specifically as a featured reporter for Good Morning America in June 1995. In 2001, Roberts received the Mel Greenberg Media Award, presented by the WBCA. For many years, Roberts worked at both ESPN and Good Morning America, contributing to both programs. During that time, she served primarily as the news anchor at GMA. In 2005, Roberts was promoted to co-anchor of Good Morning America. In December 2009, Roberts was joined by George Stephanopoulos and under their partnership, the Roberts-Stephanopoulos team led Good Morning America back to the top of the ratings; the program became the number-one morning show again in April 2012, beating NBC’s Today, which had held the top spot for the previous 16 years. She has also earned three Emmy Awards for her sportscasting work at ESPN. Roberts is a breast cancer survivor who has become an outspoken advocate for the cancer research community. Each year she is heavily involved with the Jimmy V Foundation for cancer research as well as appearing as a Keynote Speaker at breast cancer awareness events across the country. She faced another health scare in 2012 when she was diagnosed with myelodysplastic syndrome (MDS). 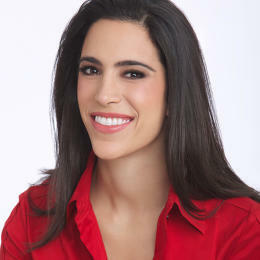 Her treatment was chronicled on Good Morning America, which earned a 2012 Peabody Award for the coverage. Robin published her first book in 2007 titled “From the Heart: Seven Rules to Live By“. Following her cancer diagnosis and chemotherapy, Robin released another book this time titled “From the Heart: Eight Rules to Live By” (2008). These books enlightened readers on her keys to success. 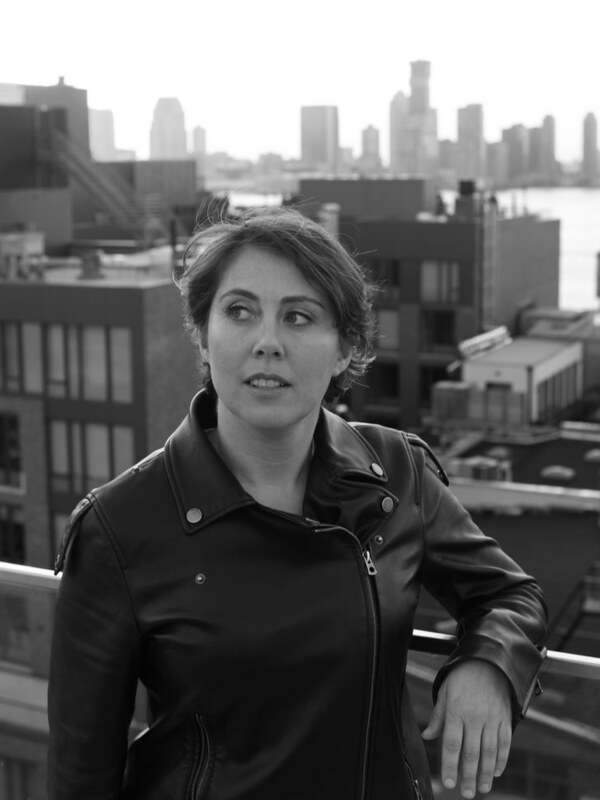 In 2014, Robin published her memoir titled “Everybody’s Got Something” that reflects back on the unexpected journey of her life. In 2012 Roberts was inducted into the Women’s Basketball Hall of Fame for her contributions to and impact on the game of women’s basketball through her broadcasting work and play. In 2014 Roberts was named one of ESPNW’s Impact 25 and that same year she won the Walter Cronkite Award for Excellence in Journalism. In 2016 she was inducted into the Sports Broadcasting Hall of Fame, and in 2018, she was the recipient of the Radio Television Digital News Foundation’s Lifetime Achievement Award. On May 19, 2018, Roberts co-anchored the historic wedding of Prince Harry and Meghan Markle, the American television star, at St. George’s Chapel in London. For availability and speaker fees, please contact Robin Roberts’s speaking agent at Chartwell here, or call +1 972 385 1021 for U.S. inquiries or +44 207 293 0864 for international inquiries.